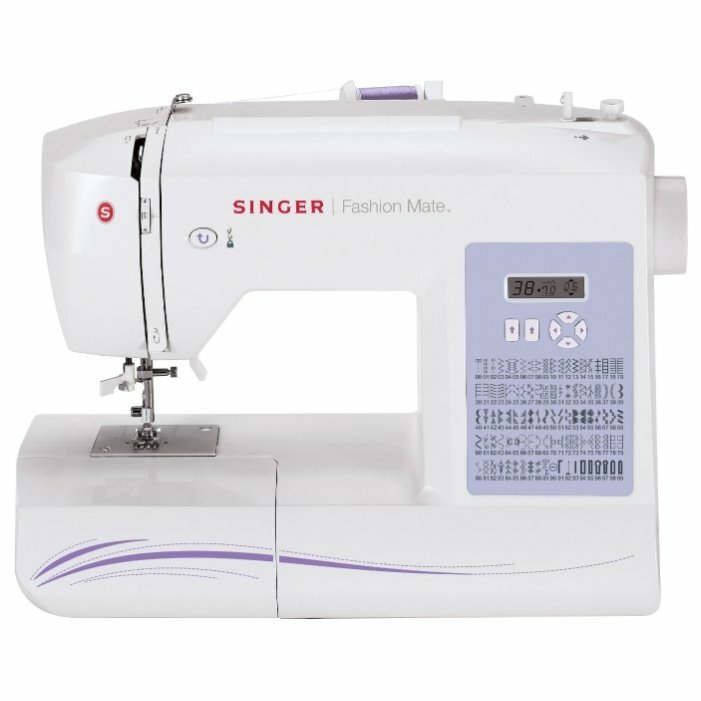 Singer 5500 is feature rich sewing machine, but it is a factory serviced model. I can’t recommend this to you with my whole heart, as it can be faulty. Extension table and hard cover. Singer 5500 first caught my eye when I saw this on sale at amazon. There was a reason why it caught my eye, it was a factory serviced version. It is available there for half the price I guess. When I went through its features, it looked good on paper. Now you may be wondering, what is a factory serviced sewing machine? A factory serviced sewing machine is nothing but a machine that has been returned to the manufacturer for some defects. The manufacturer will then service it and put it on sale at substantial discounts. In most cases, the defects will be minor ones and you can get a machine that is as good as a new one. However, there is still an element of risk associated with it. It all comes down to personal preferences in that case. Now, back to Singer 5500 review. This is a computerized sewing machine. 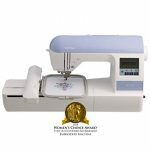 It has 100 built-in stitches which include 8 stretch stitches, 9 essential stitches, 76 decorative stitches, 6 fully automatic 1-step buttonholes and 1 endless buttonhole. There are lot of automated features on this machine. It has an automatic needle threader. Automatic tension keeps the stitches balanced. Stitch length and width are automatically set for optimal results. However, you can customize them. Stitch selection and customization can be done using push buttons. The automatic reverse option lets you sew in reverse and reinforce the stitch. 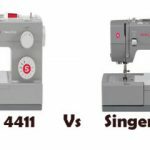 Singer 5500 can sew at a speed of 750 stitches/minute. There is an extra high presser foot lifter, which comes handy while sewing with multiple layers of fabric. This machine has free arm sewing capability as well. It is a solid machine, thanks to the heavy duty metal frame. The presser feet are snap on type. It comes with an extension table and a hard cover. My first impression was, ‘Jeez this is so quiet’. It is a feature rich sewing machine. It is sturdy and runs smoothly as well. It does a very good job with all kind of fabrics. One thing you should beware of, is that this is a factory serviced sewing machine. So you are bound to get some faulty ones. The biggest bummer of Singer 5500 is that the bobbin is front loading. 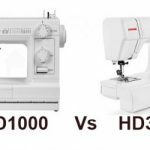 It is a huge disadvantage as even basic machines come with easy to load top drop-in bobbin. It am really disappointed about this feature, Singer has lost the trick there. 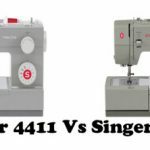 One thing you should be aware of, is that Singer 5500 is a factory serviced sewing machine. So you are bound to get some faulty ones. You are taking a risk, even though you can return it if you are not satisfied (at least on Amazon). The price may be so tempting. The extension table and hard cover are additional bonus for the price. If you ask me whether you would recommend it or not, I would probably say no. There are two reasons for it. 2. The bobbin is not drop-in. So it is not a user-friendly machine for a beginner. An alternative model I can suggest is Brother CS6000i. It has the same price. It surpasses Singer 5500 in quality and performance. It has 40 less built-in stitches though. 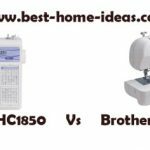 But it is a quality machine and is listed among Sewing Machine Reviews list of ‘Machines You Can Buy With Your Eyes Shut’.